I'm an avid fan of online shopping, I believe most of us here are! Physical stores are taking a toll because online shopping can bring about so much convenience and costs savings. 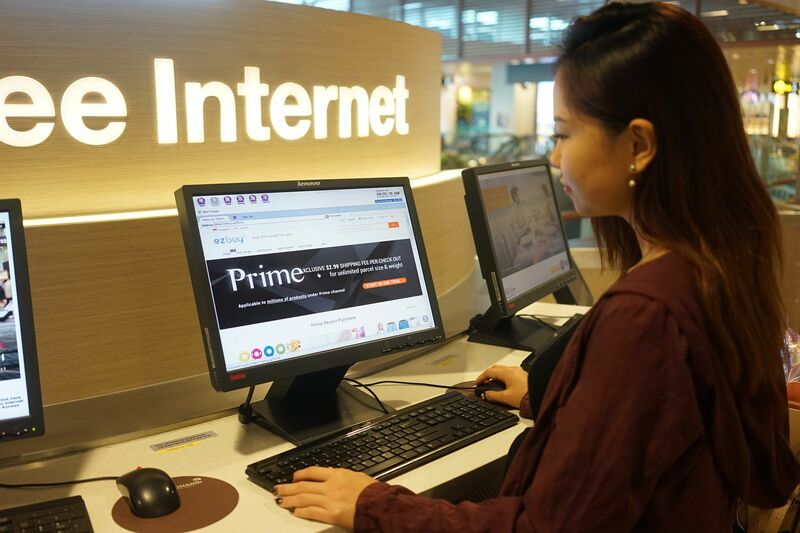 Some items are rare and can't be found in Singapore, and believe me, there's many more reasons why people are steering towards online shopping. 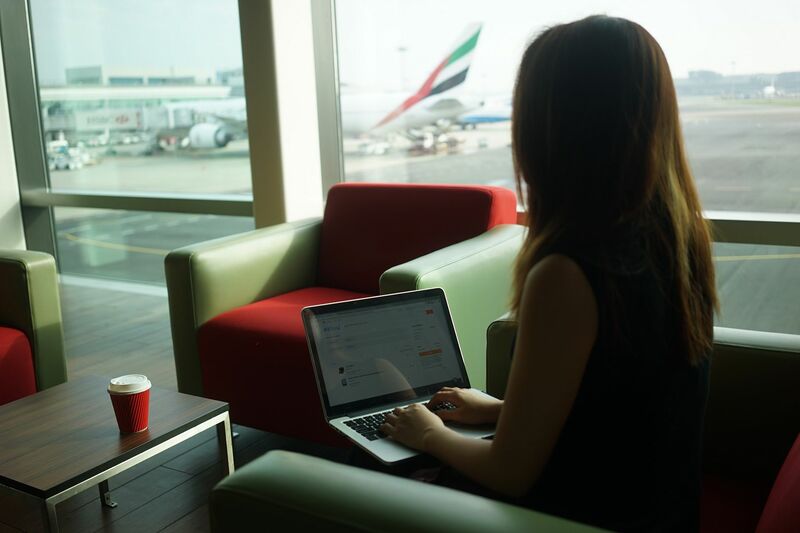 After being a Taobao online shopper for many years, I have always been wanting to share with you the tips and tricks on shopping online, especially globally. The thing about global online shopping is that there's one more thing you have to worry - the shipment. 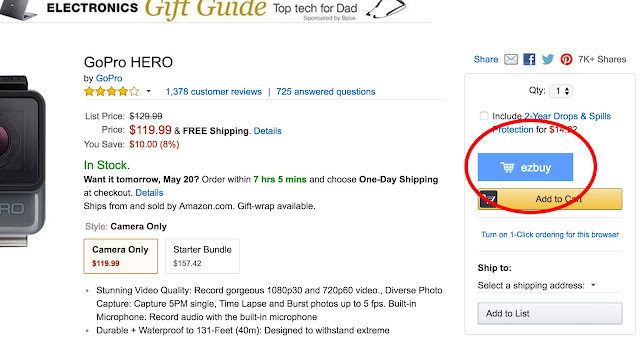 In this case, you have two choices: One is to ship directly from the online shopping platform (eg. Taobao, Amazon), while the other one is to ship through an agent. I have been using 65daigou (now known as ezbuy) for the longest time too, and it has always been a pleasant shopping experience with them. It used to take about 3-4 weeks for my online shopping loots to arrive me all the way from China/USA, but now that ezbuy has grown so much, shipment can take as fast as 4 days! Now follow me as I tell you the 5 Reasons to Shop Online with ezbuy. Buying with ezbuy is really easy. You just have to copy and paste the link, submit your order preference or notes to sellers in English, and the staff will help you translate and convey to the sellers. I will talk more about how to use the shipping agent ezbuy in a short while. Sounds crazy? Not exactly. Welcome to ezbuy PRIME. 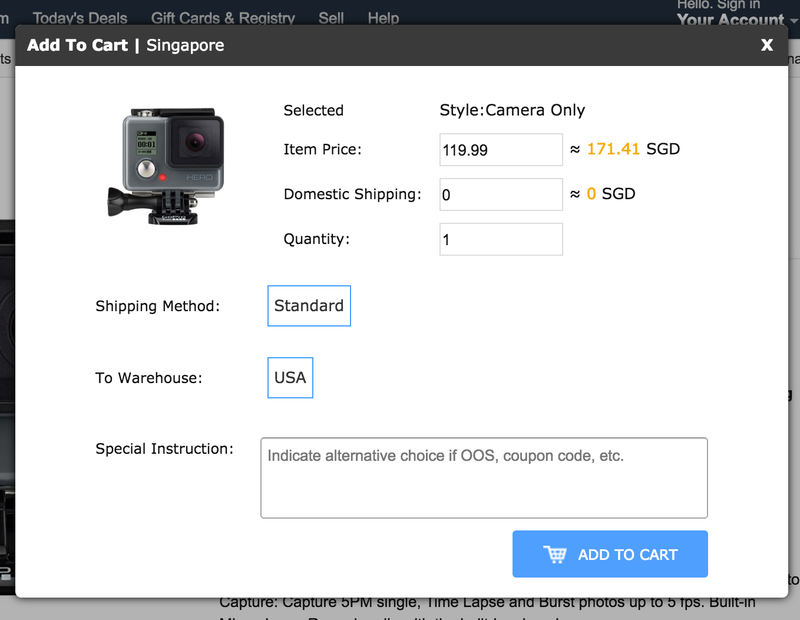 With a monthly subscription fee of only $9.90, you can ship any amount if items over back to Singapore at only $2.99. 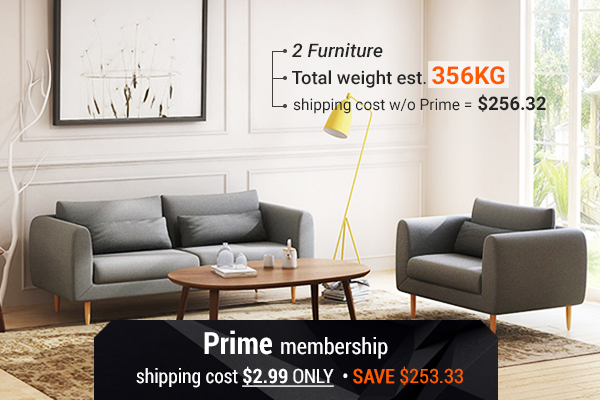 This is definitely a good deal for avid online USA/Taobao shoppers if you always purchase items online and have to ship in large quantity or heavy items. Check out ezbuy PRIME here. 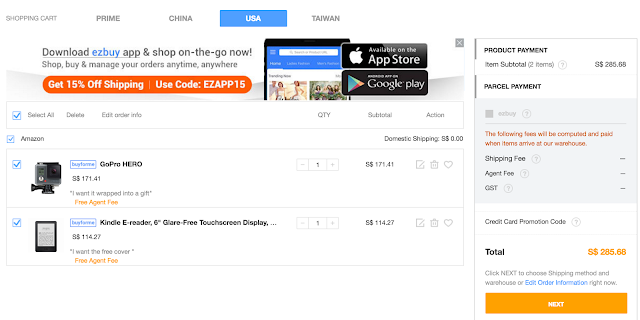 If you are shopping online on either the USA online portals like Amazon, or Taobao, you might actually find yourself buying from manufacturers directly. They will be able to offer you wholesale price, which is the best bargain you can get. 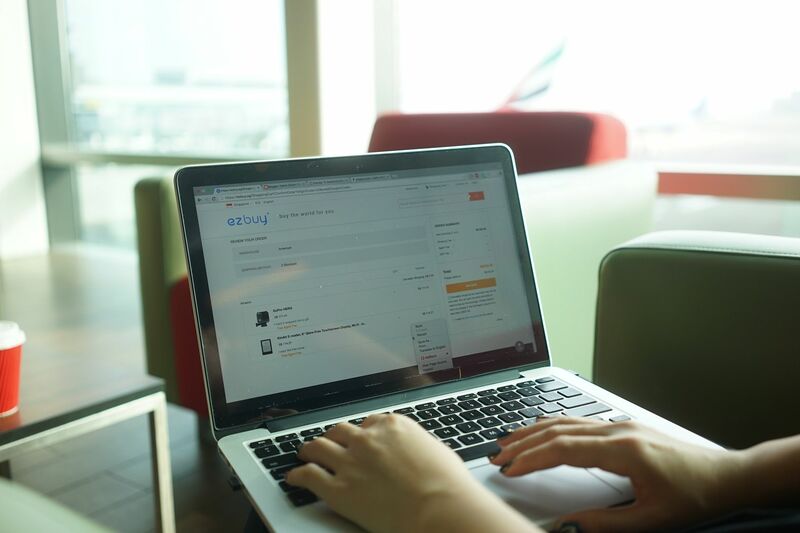 Being one of the pioneer shipping agents in Singapore dealing with sellers from USA, China etc., ezbuy is able to provide you very low shipping fees. 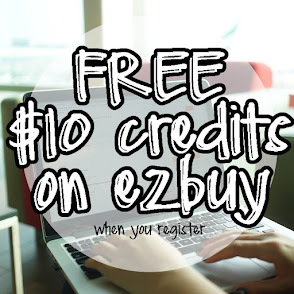 ezbuy do not have any base charges and has recently reduced their economy air rate to $1.69 for every 500g. Taobao shipping has a base charge of around SGD$9+ on first 1kg and $2.50+ for every 500g. For ezbuy, the economy air rate is $1.69 for every 500g, and there's no base charge. For larger items, ezbuy provides sea shipment which is suitable for bulky items, and they cost as low as $0.36 per 500g. In fact, ezbuy also offers inspection and repack service for your orders before shipping them back to Singapore! Click here to view more ezbuy shipping rates. Now here comes the burning question, how do I use ezbuy? It's extremely simple to use ezbuy (formerly known as 65daigou). There are two ways. The first and easiest way is to download EZcart function so that you can add the item into your cart by just a single click. 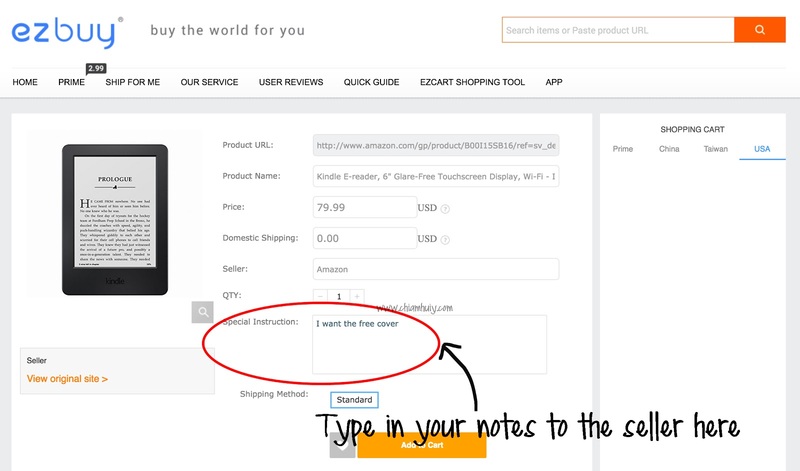 It'll automatically bring you to this page to customize your notes to the seller. 1. 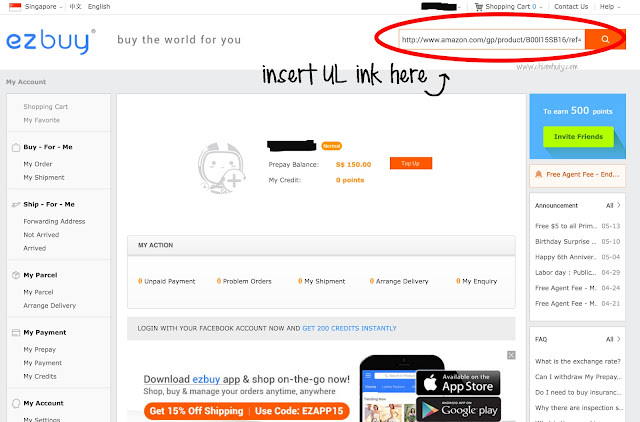 Simply copy paste the item URL link here. The URL link can be from Amazon, ASOS or even taobao. 2. It will automatically bring you to this page, where you can type in anything you would like to convey to the seller. Remember I told you about not having to worry about speaking mandarin (suppose you are buying from Taobao)? This is one of the services ezbuy provides. 3. Then just add to cart! 4. and violaaa! You items are now ready to be purchased! 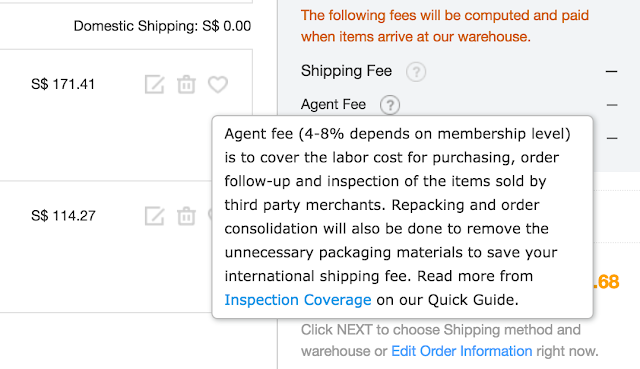 Do however note that the shipping fee is not included yet, so you need to make an estimate or how much the shipping fee would cost. 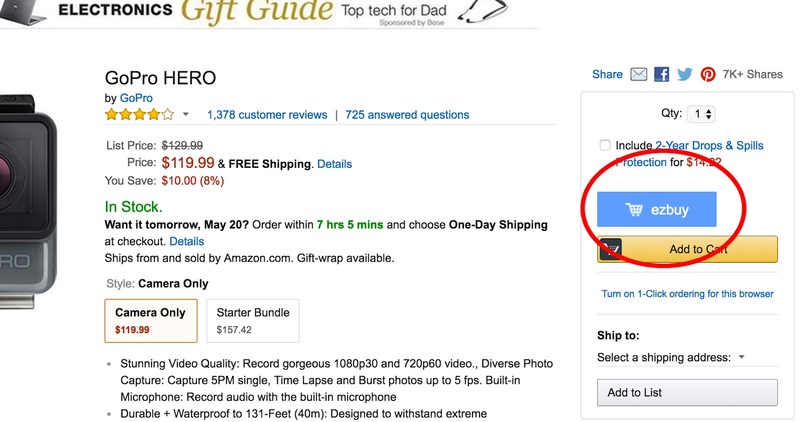 Then again, if you're using ezbuy PRIME, this won't be a worry as you only have to pay $2.99! Enjoy $10 free shopping credits if you sign up a new account here Bit.ly/celine65!